This LGBTuesday we are going to look at movies and where better to start than with the movie which launched one of my favorite memes, Carol. 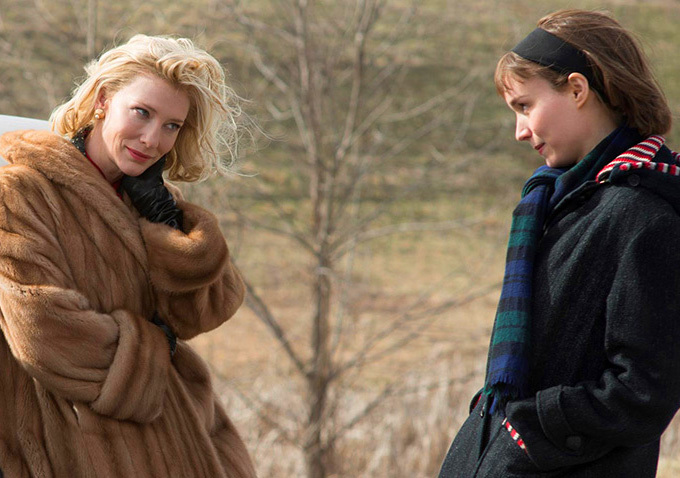 Carol is a period drama set in 1952 and is based on the novel The Price of Salt, by Patricia Highsmith. Therese Belvitt works at a department store and at work she runs into Carol Aird, a glamorous and wealthy older woman who is looking for a gift for her daughter. Carol forgets her gloves at the department store and after Therese returns them they begin to develop a deeper relationship with one another. Carol is an enjoyable film to watch. The relationship between the two leads feels genuine and develops gradually. Both women deal with drama in their lives regarding their sexuality and the time period where anyone who identified as queer was generally more secretive about the matter. The writing feels realistic to the time period and the societal scandal and drama that both of the leading women have to deal with are as captivating as they are annoying that these were things the queer community had to deal with. 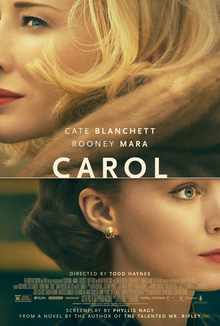 Give Carol a watch if for no other reason than Harold, they're lesbians! You can check out the movie Carol or the book The Price of Salt, which the movie was based on in our catalog here!